Scissor cutting requires a surprising amount of skill for a preschooler, so much so that it can be very frustrating for a child who wants to cut but is still learning. (Because kids are naturally drawn to scissors, right?) Well, it doesn’t have to be. 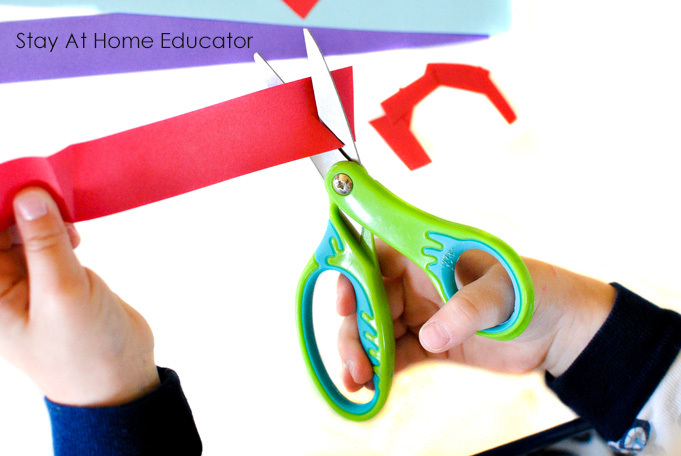 Follow these simple tips to make teaching your preschooler to cut with scissors a cinch! Take, for example, the basic task of cutting on a straight line in the center of a paper. He must hold the scissors appropriately in his dominant hand, using only his thumb, index and middle fingers, leaving his ring and pinky fingers tucked under the scissors near the palm of his hand. In his nondominant hand he must hold the paper, and move that hand along the paper as he opens and closes the scissors, (which is a task that requires strength and dexterity) with his other hand, while moving the dominant hand with the scissors. All of this while trying to stay on the line. It takes a tremendous amount of accuracy. Clearly, cutting with scissors requires an incredible amount of coordination. More specifically, it takes a tremendous amount of bilateral coordination, which is the ability to use both sides of the body at the same time to do two different things. Why are Cutting Skills Important, Anyway? Well, first, because it is an important life skill. But you already knew that. So, if scissor cutting is an important life skill that requires both sides of the body to work together, then it stands to reason that practicing scissor cutting will help gain proficiency in other life skills requiring bilateral coordination, such as those listed above. And speaking of life skills, scissor cutting also improves handwriting skills. It requires fine motor strength in the palm of the hand as well as the thumb and first two fingers, known as the tripod fingers. These are the same muscle groups required to correctly hold a pencil, and like using scissors, the ring and pinky fingers are tucked underneath to act as support. It is because of these similarities that practiced scissor skills transfer to better handwriting. While scissor practice may not begin for most children until they are of preschool age, even toddlers of two years are old enough to begin learning how to cut. The following are some tips to consider when teaching a child how to use scissors. Children need reminders that scissors are a special tool with sharp edges that need to be handled very carefully. They are not toys and children should never treat them as such. Children should always be supervised by an adult while using and handling scissors. Scissors should be child sized and fit comfortably in the hand. They should have a blunt end, but sharp blades (otherwise the paper will fold instead of cut, and how frustrating is that!) Deborah at Teach Preschool has put together a great post comparing various types of children’s scissors and her assessment of each. And always correct a child who is not holding scissors correcting. Bad habits are hard to break, and correcting the wrong scissor hold down the road is a monstrous task! Scissors should always be held below the shoulder, with the elbow tucked in close to the ribs and the thumb facing upward. If your child has trouble remembering to keep his thumb up, place a small sticker on his thumb to help remind him. Scissors should also be held at least eight inches from the face and never parallel to the stomach, but always facing away from the body. Attention to these details will not only ensure scissor safety, but will also ease the difficulty of learning to use them. Begin with the simplest skills first. While cutting straight lines in printer paper may seem basic enough, simply snipping at paper is generally the first step to learning to use scissors. This allows for practice opening and closing the scissors, during which I actually say to my students, “Open, close, open, close…” Sometimes I will even slip my fingers into their scissors over their own fingers so they can really feel the open and close as I help my students pull the blades open as far as they can, and then close them. 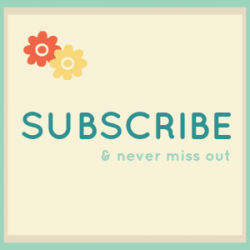 Once snipping has been mastered, children can practice cutting short, straight lines, and gradually progress to more difficult lines, such as curved and zig zags, as well as spirals. 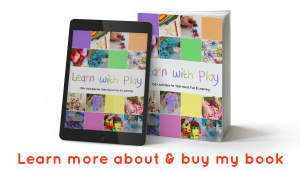 Keep up interest and enthusiasm by using some less traditional materials, such as cutting play dough snakes, snipping straws, or cutting string. When cutting paper, slightly thicker or craft foam will be easier. Try long, thin strips of paper to cut across the width. Grocery ads, sandpaper, scrapbook paper, and photographs are also fun. Be understanding and give encouragement. 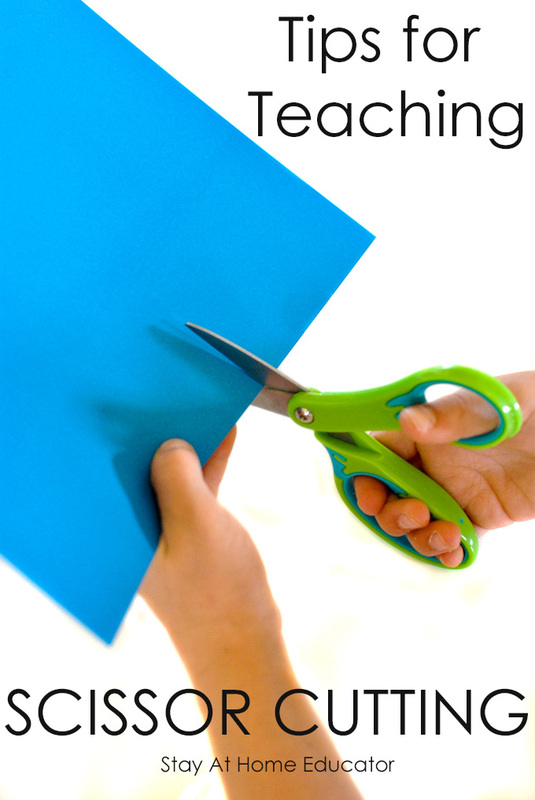 During scissor practice, I often hear my students complain that cutting is difficult. And it is. It’s really difficult.Their little developing muscles tire easily and the basic skills required for cutting on lines or around objects can be frustrating for preschoolers when they are not immediately successful. When practicing scissor cutting, I frequently remind my students how important it is to be a hard worker, and how proud I am of them for sticking with something that is so challenging. And for some students, this is also a time when I remind them that our best work is not always our fastest work. Not all scissor practice needs to have a specific task to complete. I actually leave out kid scissors on the preschool table in my kitchen with a variety of materials to cut so that my children can practice scissor cutting independently, but with me in the room supervising their safety. They have available a variety of colored paper of various thickness, as well as index cards. They also have available small sheets of paper with cutting lines, as well as shapes. 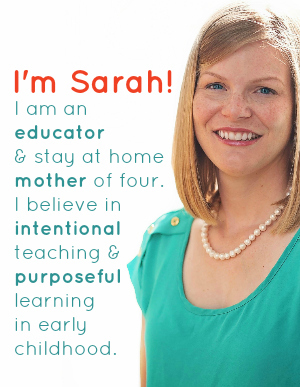 The purpose of such a center is to allow my children time to practice when they are inclined to on their own, not just during our preschool hours. They often use the pieces they’ve cut to make collages and cards to send to their grandparents. This is some really good information about teaching kids how to use scissors. It is good to know that you need to get child scissors. After all, adult scissors can be really dangerous. It does make sense why preschools use those scissors only.